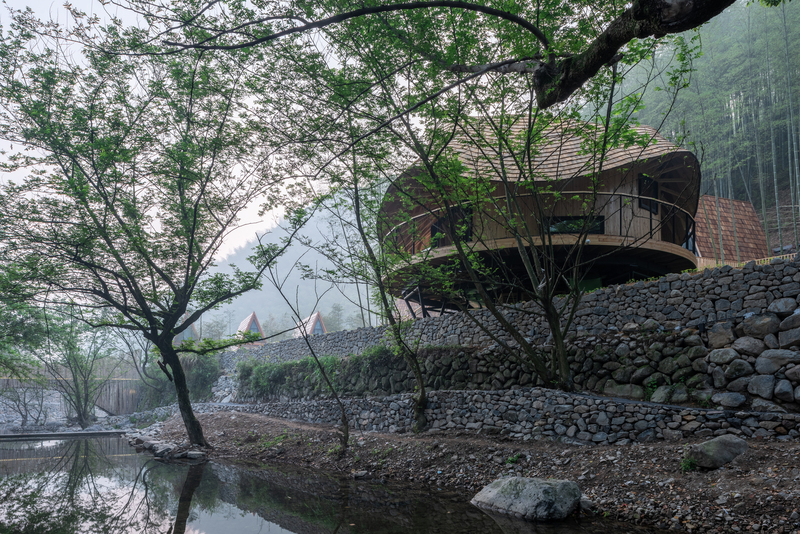 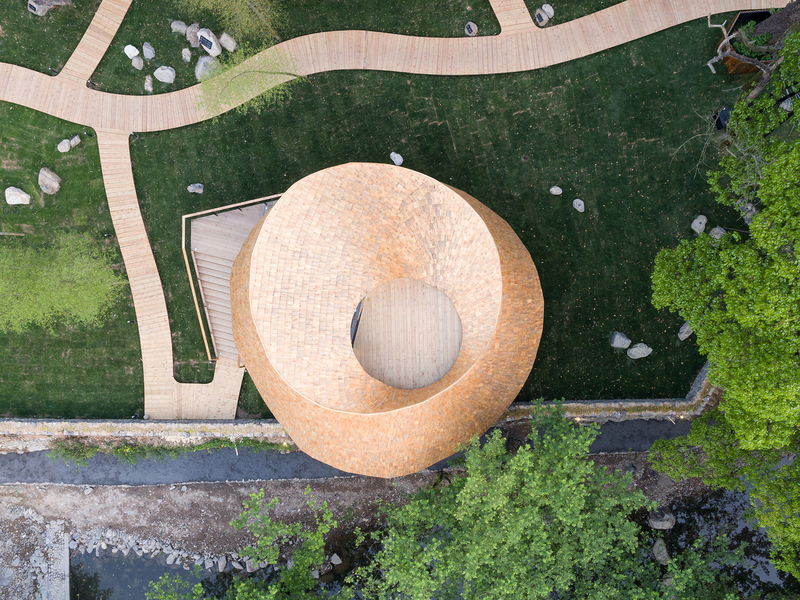 Technically, the Bamboo Treehouse by Monoarchi Architects isn’t exactly built on a tree, but it does find itself in the middle of an ancient bamboo forest with fantastic river views. 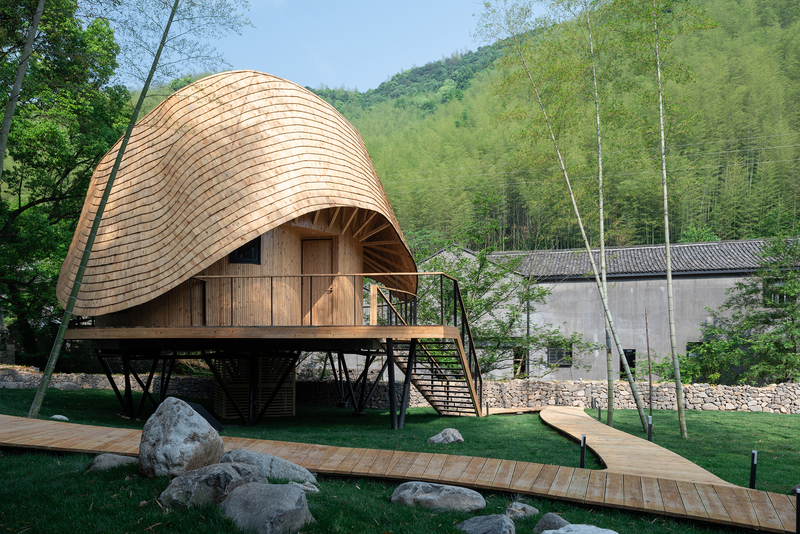 Located in Yuyao, China, the home is elevated by steel supports to a height of 8 meters, the standard height of a bamboo tree. 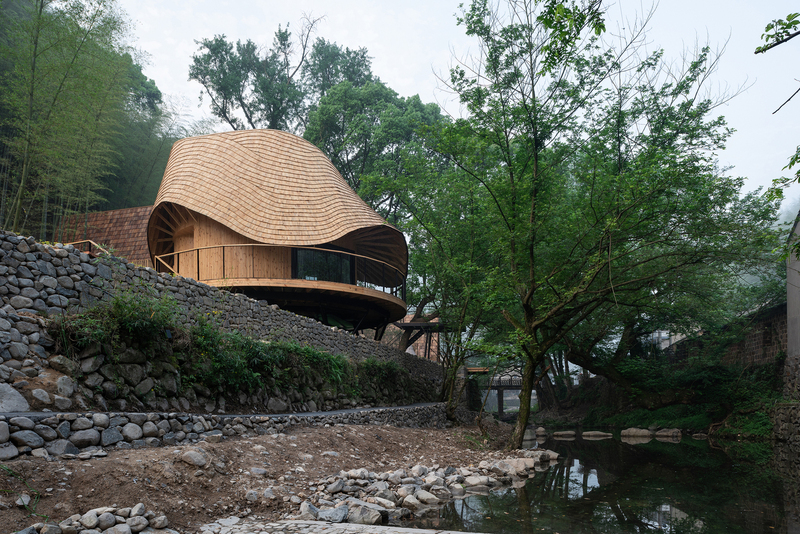 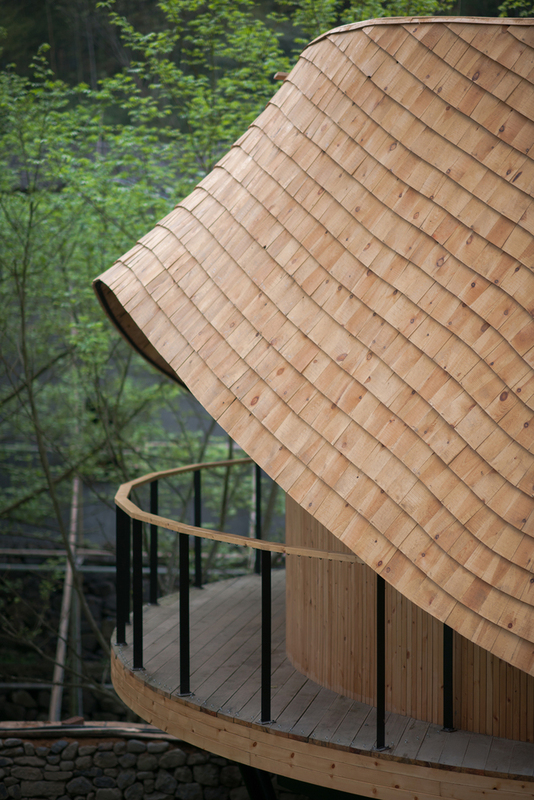 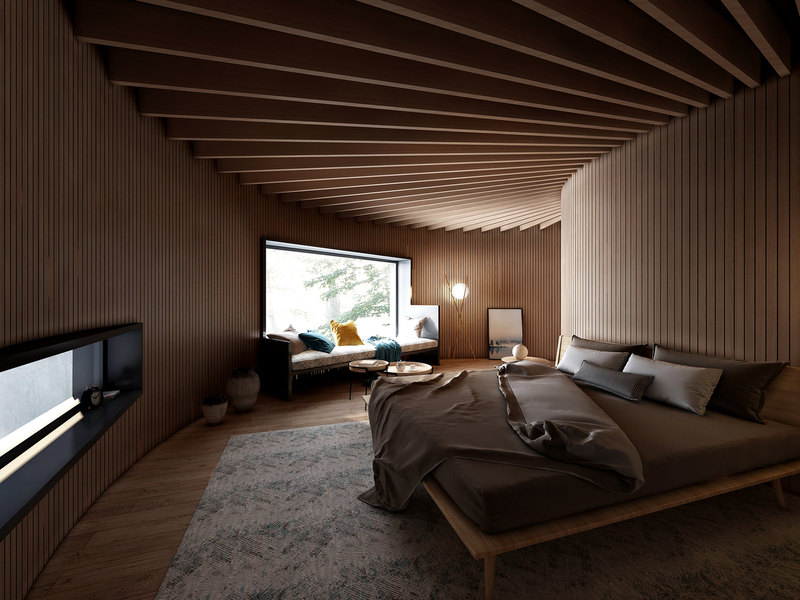 Made mostly of wood, the home is topped with a wave-shaped rooftop, the most striking feature of the home. 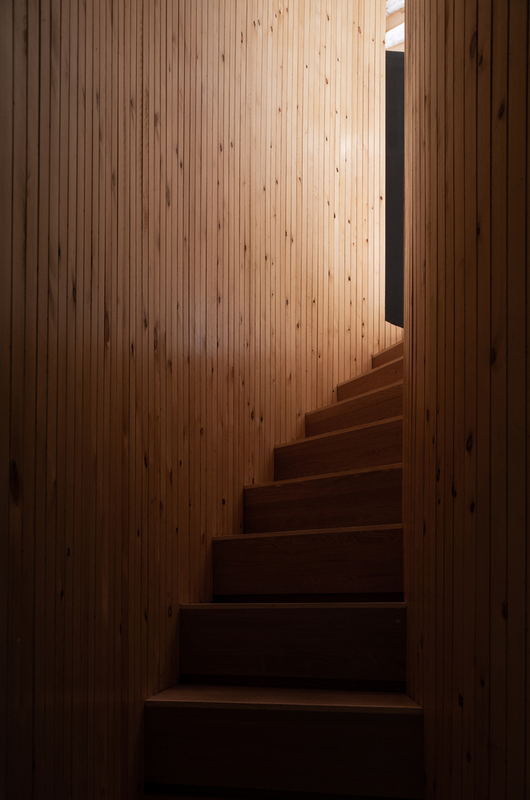 Working with local craftsmen allowed the architects to achieve a balance between design and traditional construction methods.